As part of the sociologically and historically themed exhibition Speedway, which takes its starting point from the make-do-and-mend speedway track that Regent Studios (where Transition Gallery is currently situated) was built upon, Ghost Cinema looks into the wider aspect of city leisure activities, specifically in relation to popular cinema and its role as a marker of change in east London. 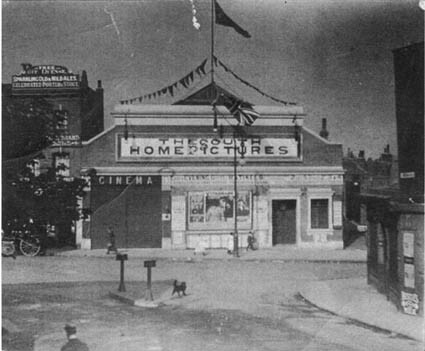 The South Hackney Picture Palace opened on the corner of Well Street and Cassland Road in 1913. 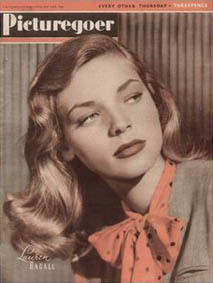 It became the South Hackney Odeon in 1937, a 1201 seat cinema that remained open until 1941 when a nearby bomb caused damage to the structure of the building. The cinema never reopened and the building was eventually demolished in 1956 when the Frampton Park Estate was built. 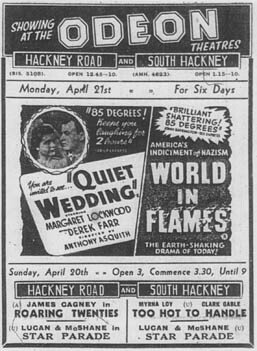 The last films advertised at the cinema were Quiet Wedding, a British film starring Margaret Lockwood and the documentary World in Flames described as ‘America's indictment of Nazism’. Inspired by this now invisible cinema Ghost Cinema looks at the ever changing landscape of the city and in particular the ephemeral nature of the social space of the cinema. In recent years artist studios and artist-led galleries have been priced out of east London just as the once ubiquitous cinemas have started to return, catering to a new wave of young incomers hungry for shared experiences in an oversaturated cultural environment. Film can be a powerful force and its pervasive influence has the ability to infiltrate everyday life. 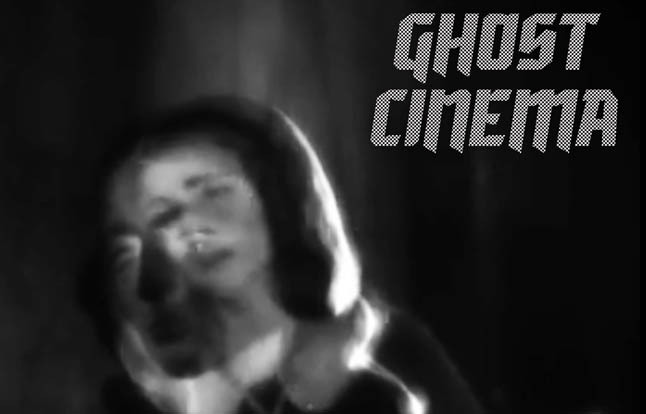 Ghost Cinema will examine how this ghostly influence continues to inspire and trigger memory. A film meditating on the phantom picture house, which imagines what became of the myriad stories that poured out of the cinema and what ghostly traces of stardust might still remain beneath the concrete. Taking Graham Greene’s short story A Little Place Off the Edgware Road (1935) as a starting point, this film explores, through the process of walking, an alternative cinematic history of the Portobello Road. 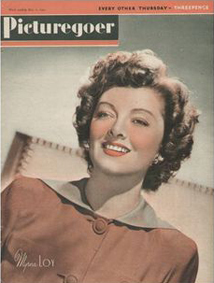 British films of the late 1940s often endow the home with magical qualities. This talk explores how these onscreen dream homes combine Hollywood escapism with English restraint. Alex the Great and Powerful will give a brief demonstration of the Pepper’s Ghost Illusion, a proto-cinematic trick used to materialise a ghost on stage. This video essay spans a century looking at the beginning, middle and end of a story about a cinema, an area and an audience. 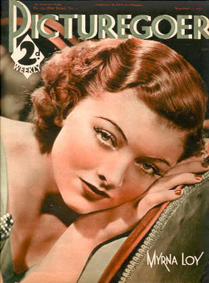 The Cinema Museum and the enormity and scope of their collections are the focus of this talk, along with a brief of the Cinephilia and Collecting project. Taking a Music Hall drawing by Sickert as a starting point, Addressing Dissonance imagines the band pit in The South Hackney Picture Palace. This talk examines filmic dream sequences, which grant access to the subconscious thoughts of characters, creating aberrant moments, which become significant in a viewer's mind. Using a Bell & Howell projector, this collaged film aims to conjure the dark reverie of The End, complete with a disembodied voice. A video essay exploring the unsettling psychological experience of viewing still photographs on the cinematic screen. A talk about The Castle Cinema in Hackney which ran from 1913 to 1958, then becoming a bingo hall, a warehouse and a snooker hall. It was reopened as a cinema by Asher Charman and Danielle Swift in 2017.